Gappay Whip. 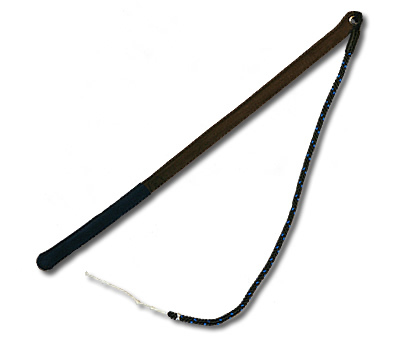 Leather bound nylon rod with nylon “whip lash.” Good for popping sound. Durable.